September 21, 2002 was the day of my first event. I remember it like it was yesterday. I brought enough smoothie mix and bananas to do $10,000. I had three people working the cart that day; myself, my girlfriend (now wife), and my cousin. After it was all said and done, we did $1,500. I had no idea how big I could grow this. I was working full time at another job at the time and I knew I didn’t want to grow it to the size where I had to have employees. A few months later, that all changed and I made the decision to quit my job and jump into this business full time. In the summer of 2003, I hired my first employee (She still works with me today!). Fast forward to June 2015. 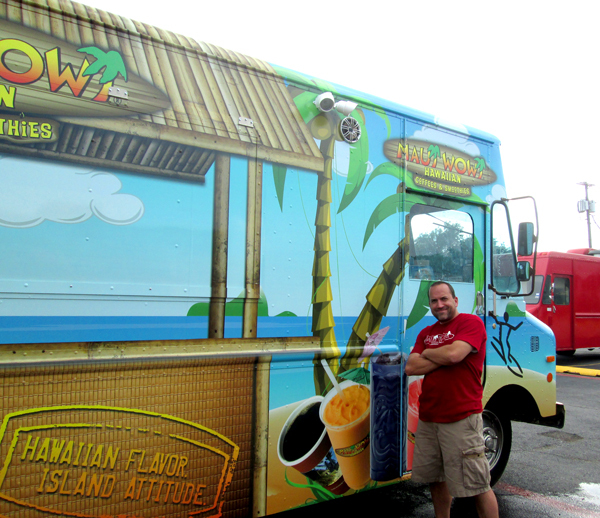 I operate nine Ka’anapali Carts, one Maui Wowi truck, plus 19 other concession carts. Although I think I can be everywhere all the time, I quickly found out it’s impossible and that I need people to help me. It is not uncommon for me to have 15 events going on during a weekend with 50+ employees at these events. Because of this, I have discovered several things that have helped me manage my staff at multiple events. Build a Strong Team: I have a core group of about seven full-time employees. These are my managers at my venues and events. Obviously, I can’t be at every event. These managers know that they are an extension of myself and the company. They direct my event crews on all aspects related to the operation at the carts. Technology is your friend: I think technology is a huge part of managing staff. We use a group text app, Groupme, at the events to communicate with each other. I use a website called wunderlist.com, this helps me assign daily tasks on non-event days and on event days this helps us let each other know what the events need stocked up for the next day. I have started using iPads at every location as a POS System and our end of the night inventory. This, I believe is going to help my business tremendously. I will now be able to control my labor in real time instead of waiting on the end of the night reports from my managers. On multiple event weekends, I use my time to travel between my different accounts and check in with my managers. I try and make it to each event every weekend and talk with all of the key management at each venue. I like to do this because I never want them to feel that I am favoring one venue over the other. Whether you have one event or 15, with the right team in place and the help of technology, you can streamline your system to be as efficient and profitable as possible. This entry was posted in Guest Posts and tagged employees, Franchisee, guest post, how to, managing, mobile businesss, sorrells, team, technology, Texas, venues. Bookmark the permalink.